Del Pozo said the department's preliminary investigation indicated the dispute involved drugs. Police found crack cocaine on Hampton's body, he said. Hampton was facing charges in Chittenden County after leading Vermont State Police troopers on a high-speed car chase in January. According to a VSP release from the time, a trooper stopped Hampton on Interstate 89 in Middlesex for an unspecified motor vehicle violation. The trooper learned that Hampton had an outstanding arrest warrant in New York for an illegal weapons charge and asked him to exit his vehicle. Instead, Hampton drove away, leading multiple agencies on a high-speed chase that stretched over I-89 and two state highways. Hampton struck two vehicles in the process, then a tree. The pursuit ended in Essex, where police officers arrested him as he fled on foot. Hampton was charged with eight crimes, including resisting arrest, attempting to elude and being a fugitive from justice. His bail was listed as $15,000, according to the release. He was scheduled for a court hearing in May. 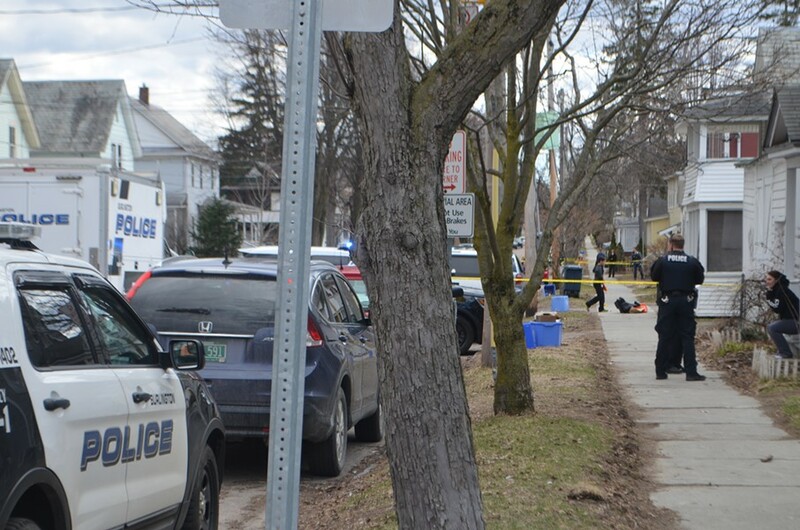 Burlington police taped off most of the 200 block of North Willard Street as they collected evidence and interviewed neighbors. Police also closed a portion of Colchester Avenue adjacent to the University of Vermont, where they removed a vehicle from the road. Del Pozo said that the vehicle was transporting the unnamed shooter to the hospital.